When Live Life Get Active creates a camp in a new community it needs the support of 2 key partners. A commercial partner that funds the camp’s activities for the year and usually a council partner that provides the free use of an open space, in a safe location for us to use. Sometimes they are one in the same. It is the commitment and vision of these partners that enables us to build fitter, healthier and happier communities right across Australia. 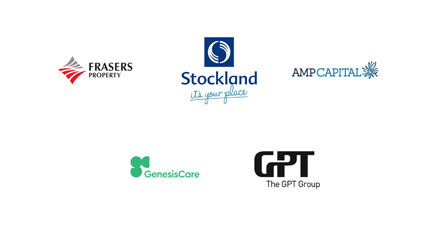 We also connect with highly credentialed health and wellbeing partners, these relationships are national and provide us with education, knowledge, services and support it help our members make better choices in their quest for healthier and happier lives. 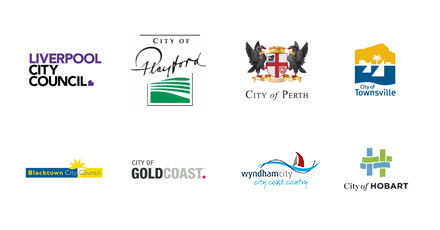 Please follow the links below to learn more about our commercial, council and health and wellbeing partners. Our commercial partners fund the full offering of the camp, this includes equipment, trainers, promotion, nutritional plans and reporting. Learn more about their efforts here. Our council partners provide us with access to the parklands on which our camps are conducted. They also help in sourcing local trainers and in some cases they fund the camps. Learn more about their efforts here. We are very excited to announce that our first National Health and Wellbeing Partner is Medibank! They will work across our network and provide professional support, education and testing for all our members. Click below to learn more about their contributions. Live Life Get Active is very proud to have been recognized by the Green Building Council of Australia as a service that builds positive, healthy and connected communities. Learn how Live Life Get Active can help earn points for your residential or business communities. Download PDF.